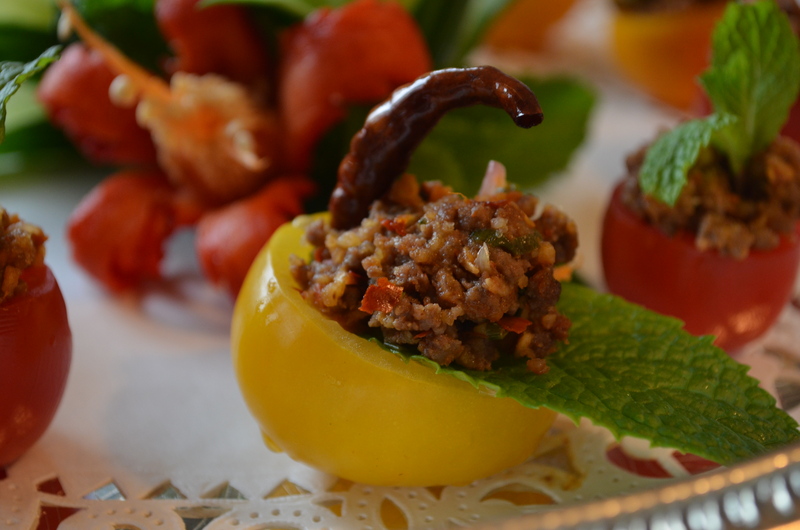 Continued from my previous post Larb – A Taste of Northeastern Thailand. 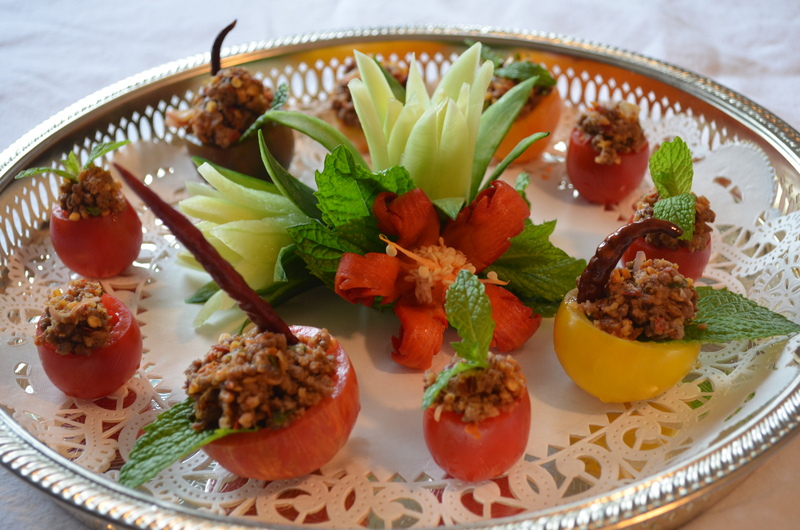 The style for today is for a presentation for a party, with colorful tomatoes and beef stuffing is a good match. 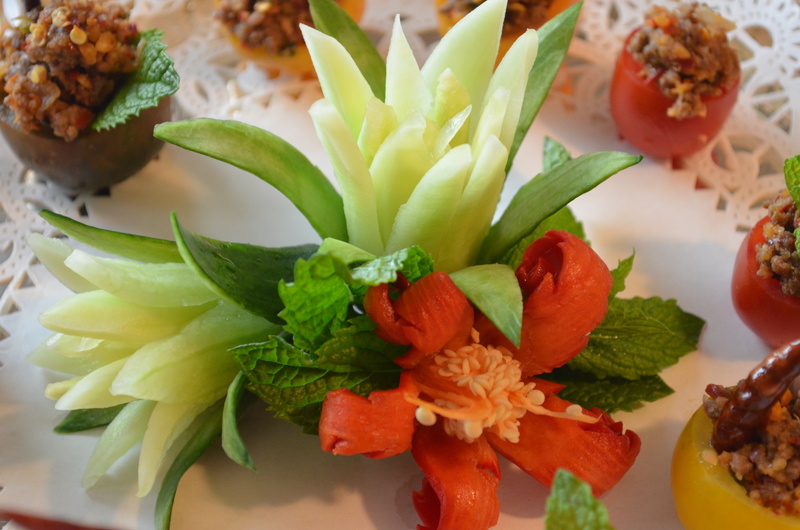 The ingredients are similar to Isan Larb but we added the paste which including toasted garlic, shallot, great galangal and dry big chili, shrimp paste toasted in banana leaf) The last one I did not add because it is not available here. Toast in a pan using low-medium heat until inside of garlic, shallot are soft and fragrant. Use dry large chili being most careful not to burn the color to black. It will taste bitter and colour will not be red beautiful. 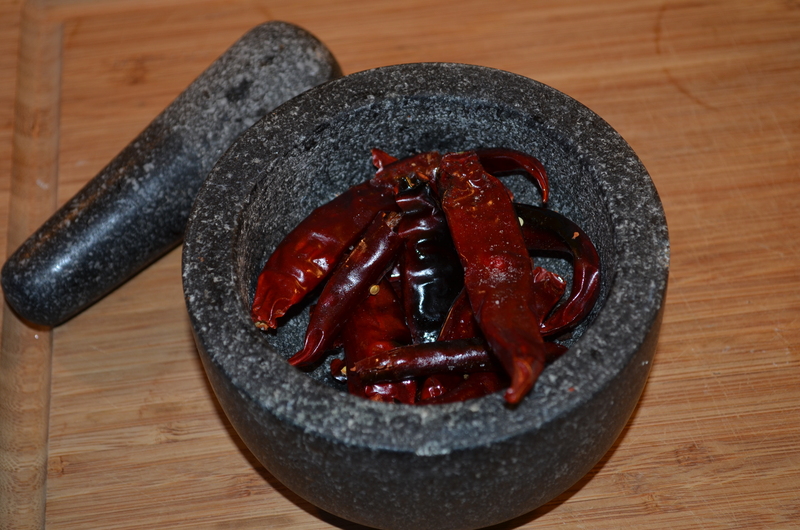 Use a granite mortar to grind chili (add a bit of salt), then add galangal and pound. 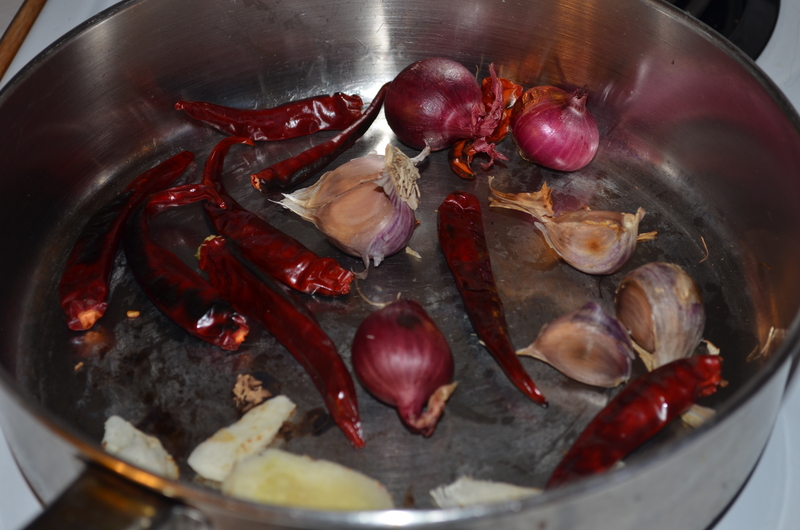 Next add peeled garlic and also peeled shallot . 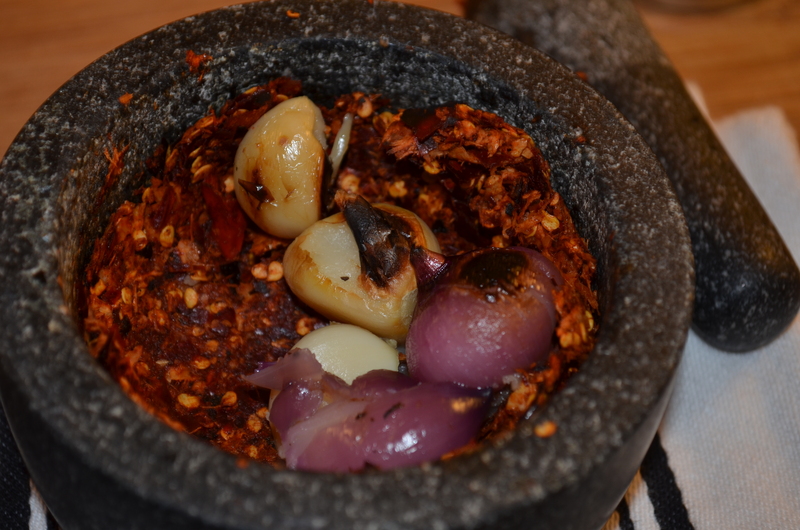 The result will be Larb paste we use this instead of crushed chili pepper. 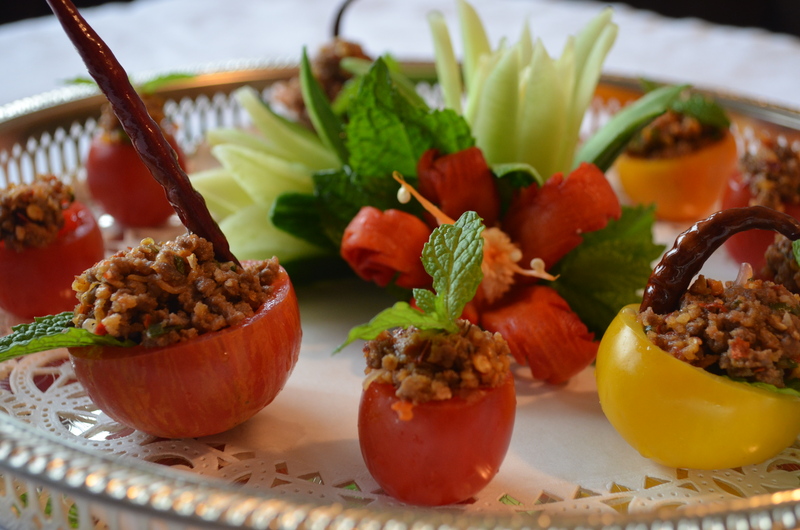 Finally we add only 1-2 Tbsp of Larb paste for 170 grams of beef.